I have been wanting to Photograph this wreck for along time and finally got the chance this week. 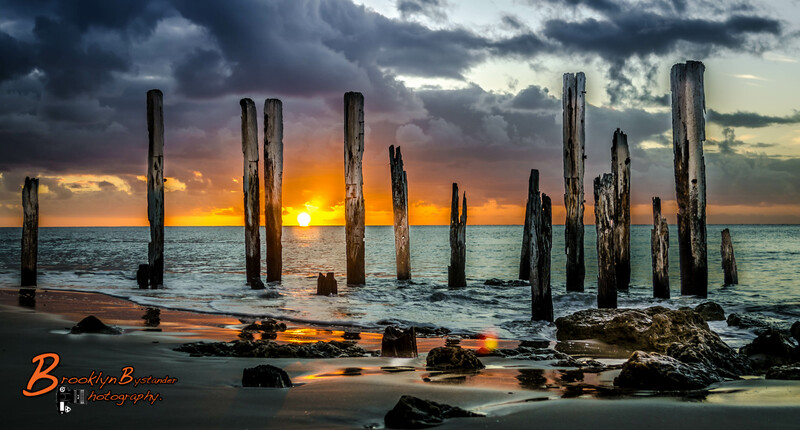 This entry was posted in Photography and tagged Adelaide, colour, digital, History, Lightroom, Photography, Sea, sky, Star Of Greece, Willunga. Bookmark the permalink. I see a few photos of the Star of Greece, but this is a favourite! Thank you Tina Very Kind of you and much appreciated. This is a magnificent photo… I love the posts upstanding against the softness of the clouds and the sunset. Beautiful photo and it was fun reading about the Star of Greece. I love that you caught that pretty sunset in the photo also. Wow that photo is absolutely amazing!! A photo to lift the heart of the dreamer. EXCELLENT PHOTO! Amazing shot! I love the way the sunlight is dancing on the shore. Am I permitted to publish this on twitter? This is magical but I have to say the B & W appeals more which is rare for me! Yes the B&W does have a sort of appeal to it. Beautiful! Thank you for the follow…I’m looking forward to seeing your images. Wonderful photo. I was surprised when I read what it was!